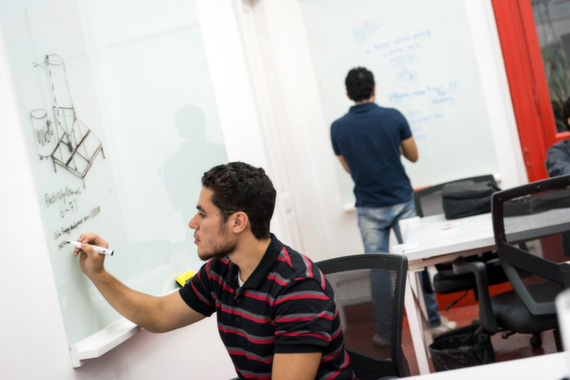 As the country has undergone massive political shifts, a new startup culture has bloomed. 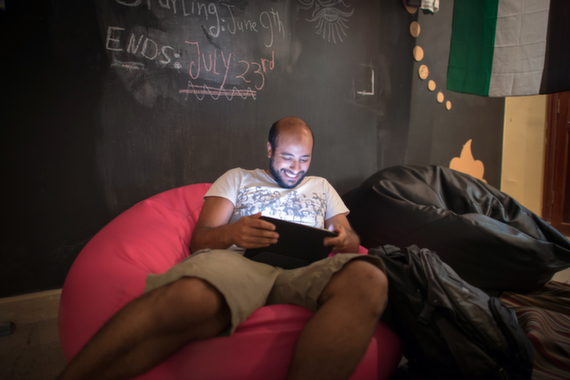 Amid Egypt’s ongoing political turmoil, there is another, tech-ier revolution afoot: the birth of Cairo’s start-up culture. Young entrepreneurs there have created everything from taxi calling services to portable solar water desalination companies, and everything in between. Despite Egypt’s recent struggles, there is hope among those in the start-up crowd, says Muhammed Radwan, an Egyptian-American engineer and activist who is now community manager for icecairo, a co-working space, fabrication lab, and “pre-incubator” for green-tech startups. Entrepreneurship itself is not a new concept here, although the term for it in Arabic, Reyada Al Amael (literally pioneer of business), was coined only a few years ago. But it is something that has recently taken on a new dimension. It also attracted the Egyptian diaspora around the globe -- and their money, skills, and experience -- back to Egypt, creating a supportive ecosystem. "We have one of the greatest collections of engineering and mobile development talent in the world," claims Alfi, “but what's been missing is what goes around the engineer -- product, marketing, business people," he says. That’s finally starting to change. 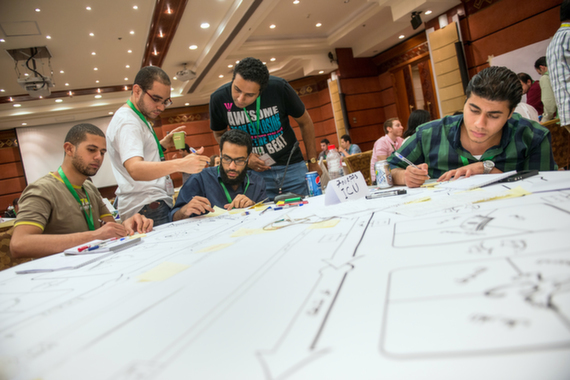 The American University in Cairo’s business school has recently launched the Venture Labs Challenge, aimed at supporting university startups and filling their newly created business incubator at AUC’s New Cairo campus – the AUC Venture Lab. Private tech start-up incubators like Flat6Labs, which has invested $10-$15,000 each in 36 early-stage Egyptian tech startups, are also growing companies in much the same way Y Combinator has done in Silicon Valley. Co-working spaces and fabrication labs like icecairo are also providing places for young tech entrepreneurs to learn skills. Development initiatives, like the U.S. State Department’s Global Entrepreneurship Program, are pouring money in to help build a culture of entrepreneurship. One of the biggest driving factors of this surge in startups is that there’s an enormous regional market waiting -- especially for technology. Egypt is witnessing a 12.5 percent annual growth in information and communications companies, according to government statistics. There are 33 million internet users -- a number growing annually -- and 34 percent of them are accessing the internet from phones and other mobile devices. Yet Egypt is still a long way from being the next Silicon Valley -- or even the leading regional startup hub of Tel Aviv -- and there are still plenty of challenges. While the nation has talented engineers with great ideas, it takes entrepreneurial CEOs and managers to build successful companies -- something the already overburdened education system is slow on cultivating. And while the list of investors in the region is slowly growing, most claim it’s still not enough. Funding a start-up in a politically stable country is hard enough -- but Egypt’s turbulent journey towards democracy compounds the financial risk. Despite the turmoil, Egypt’s ceaselessly optimistic entrepreneurs still see a silver lining. “Bad news gives some investors the jitters,” says Hossam Allam, a successful Egyptian businessman and founder of Cairo Angels, a group of 40 angel investors committed to investing in Egyptian startups. There is no doubt a momentum is building in Egypt’s tech startup scene, but it’s difficult to say this is Egypt’s future, admits Ramez Mohamed, CEO of Flat6Labs. Back in 2008, entrepreneur and activist Tarek Nasr co-founded Planet360 (now, just called the Planet), a digital agency focused on social media. Now, The Planet has transitioned from startup mode into a serious agency -- clients include high-profile brands such as Google and Nokia, and Tarek is working on building an incubator of his own. In Cairo’s “StartUp Cup,” 25 startups compete over a period of six months to “validate their business idea and model,” and win prizes such as free working spaces, spots in local accelerators, mentoring, and cash. At one table, philosophy graduates team up with agriculture experts to build an artificial insemination company to improve livestock productivity in Egypt. At the next, a team of 20-year-old “Space Studies” graduates pitch an idea they’ve been working on for two years: to convert human organic waste into fertilizer, electricity, biogas, and even water. 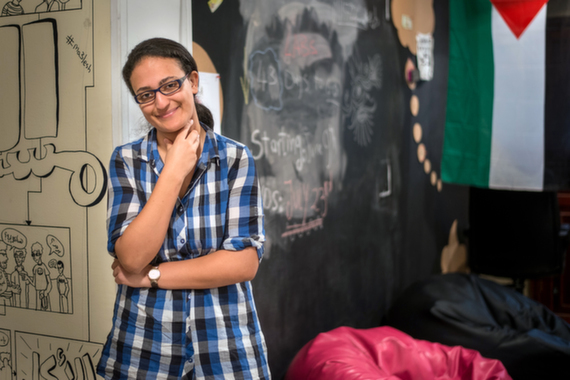 Sabrine Assem, 25, founder and CEO of Ferka2, is leading one of the only all-woman tech startups in Cairo. Their product, SolverMine, is a platform that allows organizations in the Middle East to solve their challenges via crowdsourcing. 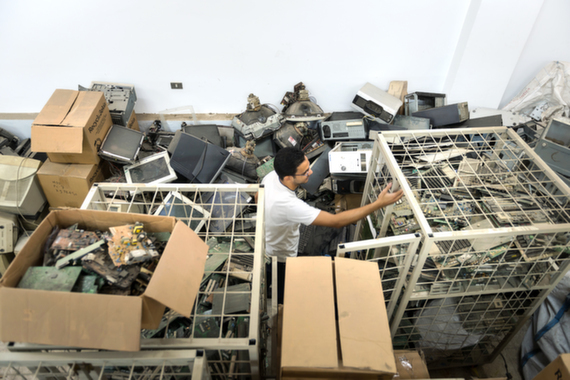 Recyclobekia, founded by university student Mostafa Hemdan in 2011 with just $1,000 in capital, takes electronic waste (cell phones, computers, printers, monitors, etc) from large companies and sells it on the global market to be recycled. 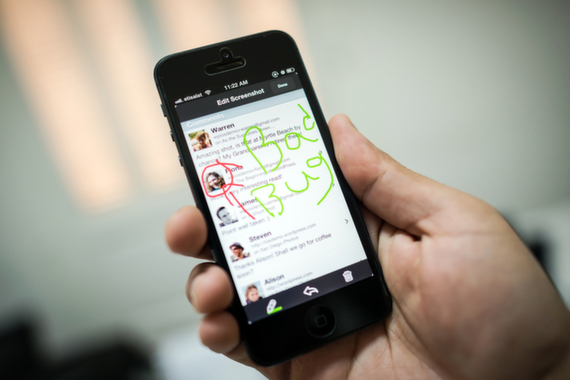 Instabug, founded by a pair of 22-year-old graduates of Cairo University earlier this year, has created a bug-reporting feature that is activated by simply shaking the phone. "When you're angry at an app, what's the first thing you think of doing?" asks co-founder Moataz Soliman. "You shake it! It's a completely natural reaction!" 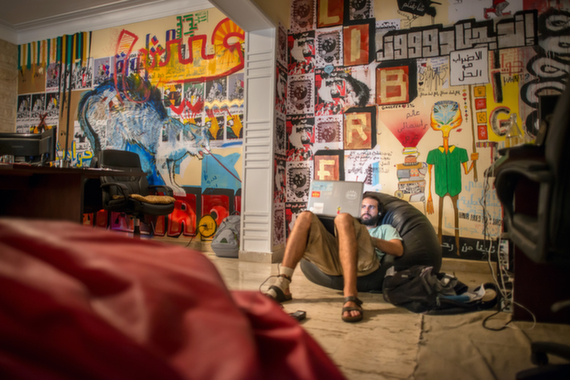 icecairo, which launched in November 2012 in downtown Cairo is a co-working space, events space, and fabrication lab (equipped with a 3d printer and laser-cutting machine) aimed at inspiring the city’s entrepreneurial youth. 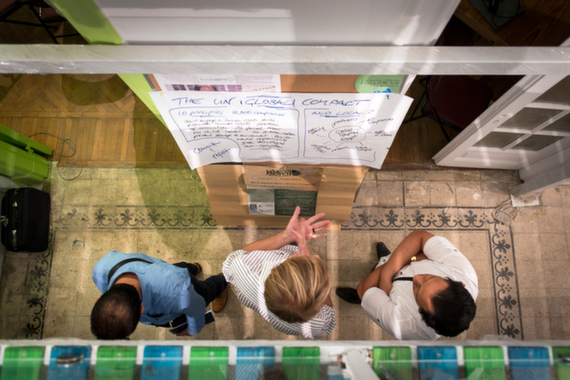 It acts as a “pre-incubator” for green tech and low-tech startups, helping them form their ideas, giving them a space to work, and offering free workshops and training sessions. Recent workshops included an introduction to laser cutting and PV solar installation. 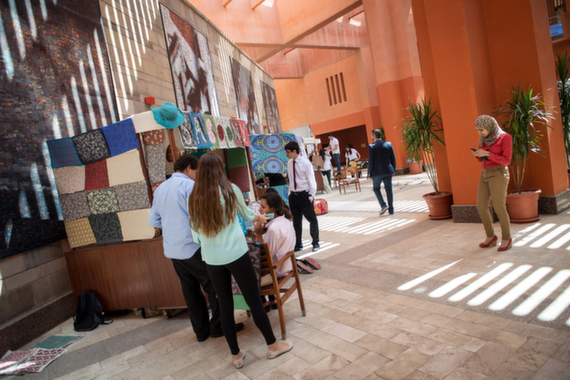 In late June, the American University in Cairo’s New Cairo campus hosted Egypt’s Young Entrepreneurship Competition, where high school students from across the nation built small businesses and competed for titles such as “Most Sustainable Businesses” or “Best Business.” The ventures ranged from hand-crafted organic soap companies to scarves that convert into handbags. Jonathan Kalan is a photojournalist based in Nairobi, Kenya. His work has appeared in The Guardian, The Financial Times and on NYTimes.com.